New York Central @ Essex, Ct. 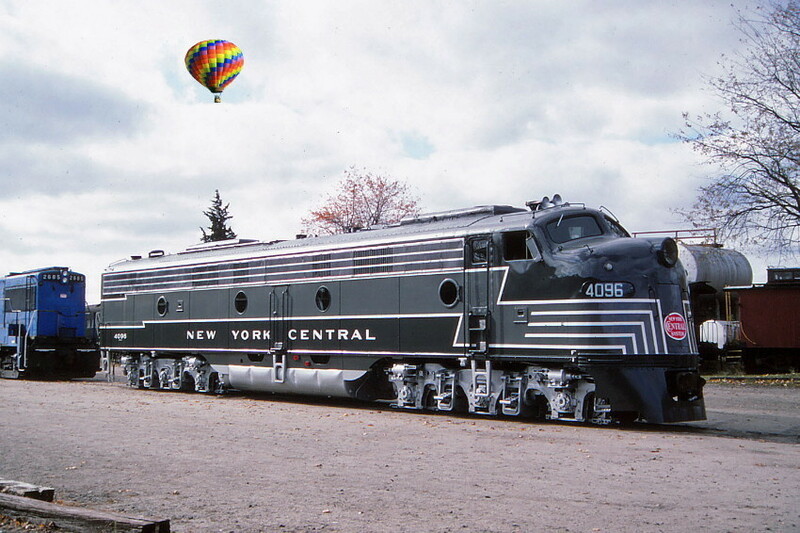 Some Hot Air Balloonists take a look at the New York Central EMD E9A that never was. See the write up by the Danbury Railway Museum for why that's the case. Photographed by Bruce Macdonald, November 1, 1986. Added to the photo archive by Bruce Macdonald, November 10, 2018.